Created a database in 2008 so that the client could enter dates for upcoming events. 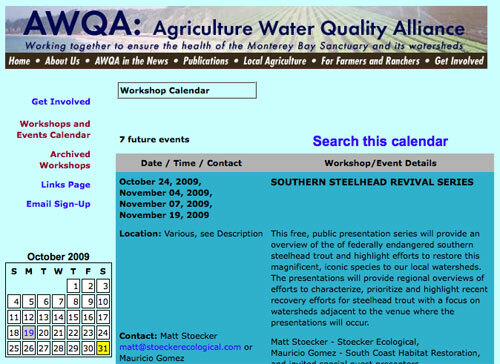 These events would be displayed on the web site, along with a calendar where users can view events on a given day, or search the database for both past and future events. These items can be searched for a date range, county, event type, and other variables. This simplified the item calendar and the web site maintenance, as the events could be entered and the site would display the new events immediately.